This is the month to get our your poodle skirts and saddle shoes, leather jackets, slick back your hair, polish the chrome and get into gear. People from all over the world will be heading to Modesto to experience a slice of ModestoCana served up during Graffiti Summer. Vrooom Vroom. The first big show out of the gate this year is the Modesto Street Rods Graffiti Classic show at McHenry Village. You will see a huge special show for the anniversary of the Chevy Camaro. There will be food, music, chrome and more. Check out the info on this show and the activities of this very active car club. This is a FREE show. This event kicks off 6:30 pm Friday night, June 9 in Downtown Modesto with the famous American Graffiti Cruise Parade, open only to cars exhibiting in the car show, 1979 and older. This is a family fun night in downtown Modesto and out McHenry. 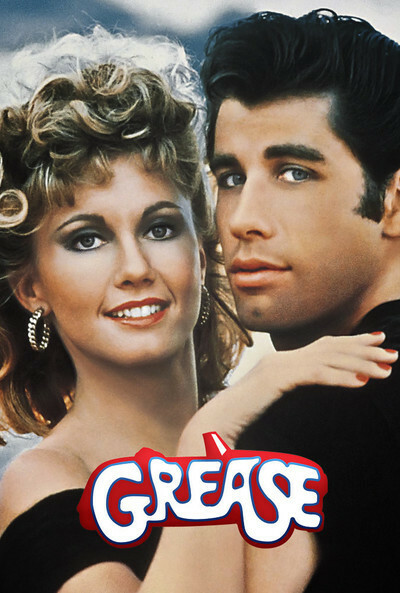 Bring your guitar and jam to one of the greatest rock and roll songs of all time. 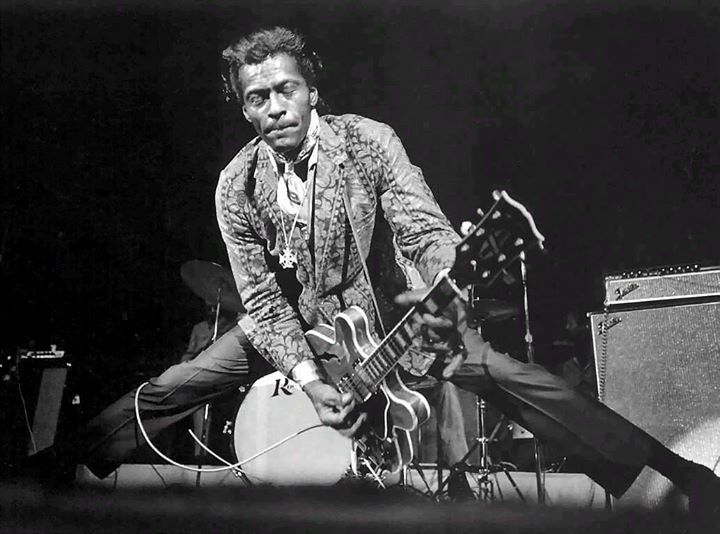 Right after the Kiwanis American Graffiti Cruise Parade, musicians from all over Modesto will be coming out to rock the night away and pay tribute one of the creators of rock and roll, the legendary Chuck Berry. You will hear so many of your favorite songs. This is a FREE show and there will be local drink and dinner specials around 10th St Plaza. Hail Hail Rock and Roll! Cool Graffiti Things to do in town. Classic Community Murals were created and sponsored by John Black and Chris Murphy with the support of ModestoView, Peer Recovery Gallery, Sierra Pacific and Wells Fargo and other local businesses. Start with the original at 13th and J and go from there. This is free tour and has many selfie opportunities. Don’t forget to #modestoview your pictures and we will share them. Take a walk back in time. 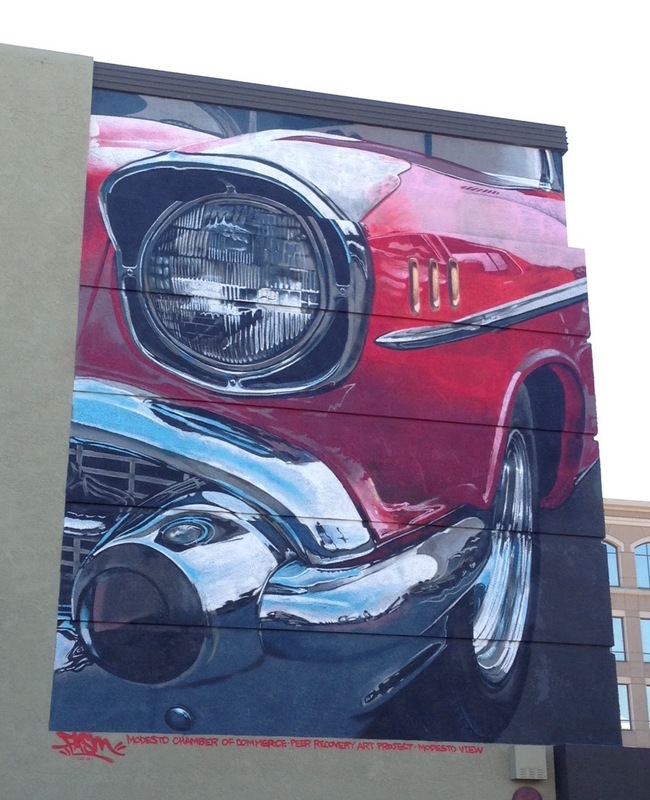 10th and 11th Streets in Downtown Modesto are the original streets where the cruise of American Graffiti was born. 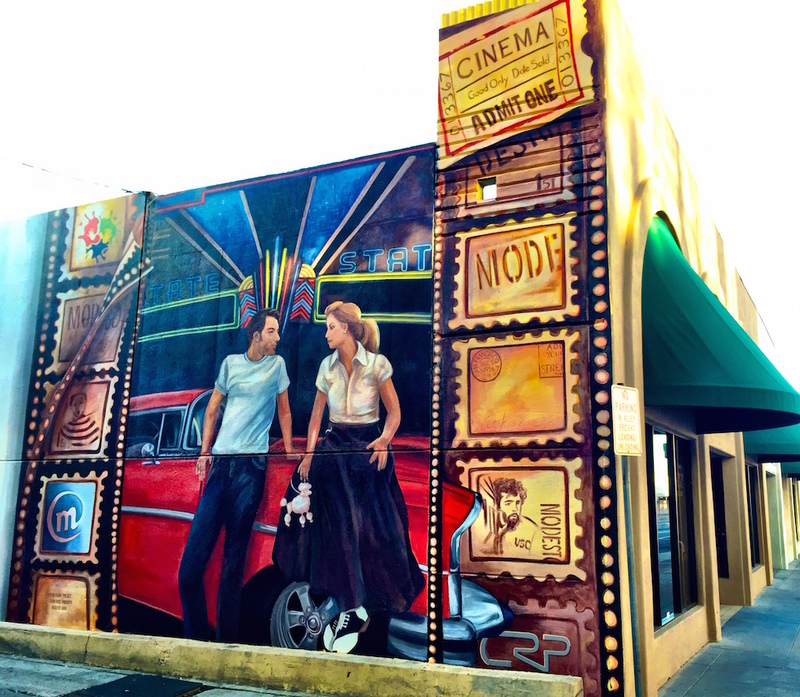 Modesto has an amazing car culture, legendary car clubs, musicians, racers, actors and actresses and Rockabilly and Rock and Roll were born on our local radio stations. This is a 45 minute walk around downtown Modesto. While you learn about our history, you can stop in at our local cafes and restaurants for some refreshment. You can see Modesto Graffiti come to life as each marker has a special video with tailored to each spot. Learn about our history and celebrate the future. 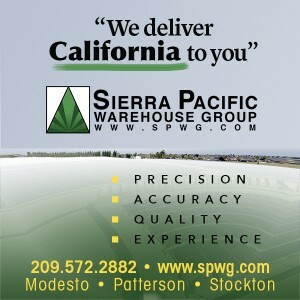 Flyers are available on-line and at local businesses. See the people that were the story behind the movie. 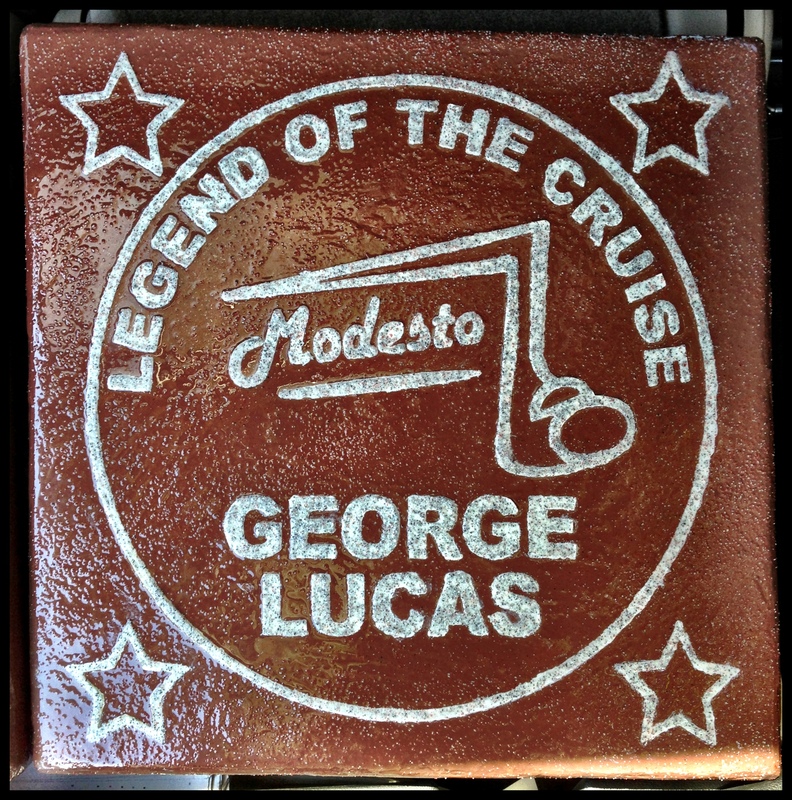 The Legends of the Cruise Walk of Fame is located in 10th Street Plaza where the Cruise Route tour starts and ends. You will have fun and learn a lot.